It happens to most people who live in countries with four seasons. We get an itch once the weather gets a little nicer and want to hit the beach. It happens to me at least a couple of times a year- and I yearn for that feeling of sand under my feet, the sun on my shoulders...the sound of waves crashing on the shore. Problem is - having a beach habit can really add up - especially if you're getting the shakes for a trip down south every few months. 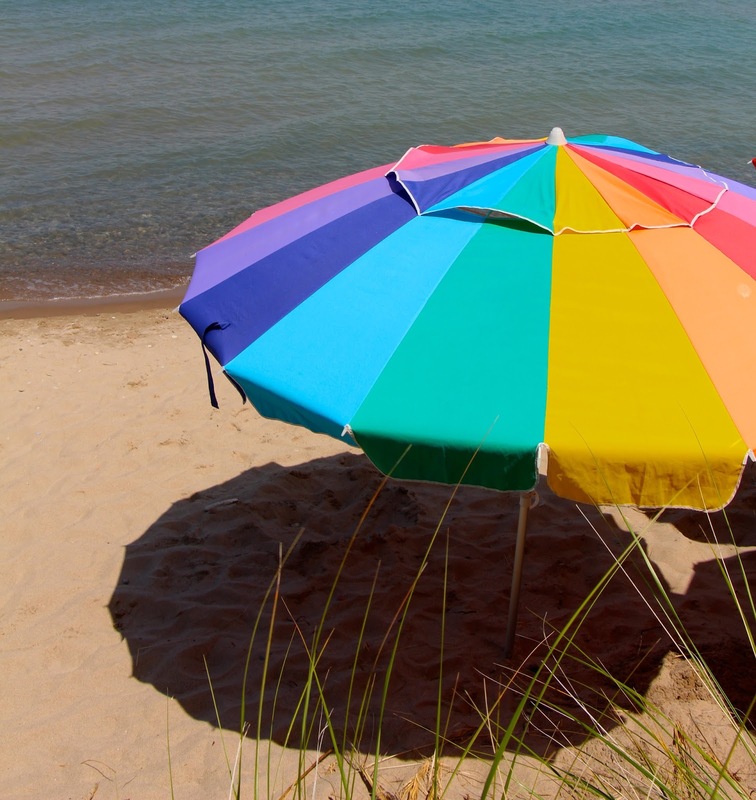 Luckily, there are some amazing beaches here in Ontario to take advantage of this summer. The fact that they are only a short drive away means that you can visit for a few days, get your tan on and come back feeling refreshed, all without breaking the bank. Beaches that are certified "Blue Flag" are some of the cleanest beaches and clearest waters in the world. 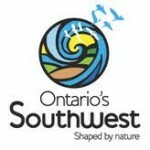 Some of those incredible beaches...are in Ontario! There's a long list of Blue Flag beaches here in the province and I was lucky enough to check some of them out with some friends for our own little beach hop. Learning that Ontario was home to so many pristine beaches- we had to go check them out. We got into a car headed south-west where we all got some much needed girl time, r & r as well as some serious tan lines - but that's all part of the beach experience. Below I share some of my favourite spots in South-Western Ontario for a little Beach Getaway that's also budget-friendly. I had driven by Sarnia on my way to visit family in Detroit so many times but never thought to make a detour. Now I know that it is home to one of the biggest boating communities in Ontario. In fact, it draws lots of American visitors who dock their boat here for weeks at a time to enjoy Lake Huron. I loved walking around the beautiful Marina and admiring the many different boats. Sarnia is on the shores of Lake Huron and the colour of the water on a sunny day will definitely shock you! Turquoise blue and incredibly clear- you can't help but stare into its depths. If you're looking for beach time, hit Canatara Park. The word Canatara comes from the Ojibwa word for "blue water" and the name fits. With its beautiful blue water and 3000 feet of white sandy beach, you'll have to remind yourself that you are only three hours away from Toronto. The green space near by is perfect for bbqs and picnics, as well as for getting some shade. If you like being active, the park also has some walking trails, a children's animal farm and even active outdoor workout equipment that you can use free of charge. I personally enjoyed lounging on the beach and appreciated that the parking and washrooms were only a few meters away. From my comfy beach towel, there was lots to see, as on the other side of the water was the United States! After a bit of people-watching, I decided to hit the snooze button-- this peaceful and quiet family friendly beach was the perfect place to catch some z's. If you're looking for a little more action, try Grand Bend. Check into a bed and breakfast and pack your beach chairs and shades. This is the perfect spot for a little sunning, people watching and a lively atmosphere. Only two and a half hours from Toronto, Grand Bend makes for a great little vacation spot. The vibe is laid back, beachy and low-key but people here know how to have a good time. You'll see families, couples and a younger university crowd setting up colourful umbrellas beachside. A popular spot for its main street strip and refreshing blue water, this is a busy beach even on weekdays. In the hot summer months, the water is comfortable and I thought it was the perfect temperature to take a little dip. There's lots to do even if you're not swimming. There's a splash pad and playground on the beach for the kids, while bars and boutiques line the main strip. An outdoor stage hosts concerts and bands in the evenings and you'd be missing out here if you don't check out the water sports. If you're looking for a relaxing vacation with options for a bit of nightlife, Grand Bend is your spot. While in Grand Bend if you want a change of scene, head over to Pinery Provincial Park. A more mellow beach location, this is where you can come to get some alone time. The Pinery Park has a few different parking lots where you can pull over and walk down the stairs to the beach. The water is a lovely, deep blue and the narrow beach strip ensures that no matter where you place your towel on the 10 km sandy beach, you'll have an unobstructed view of the waves. If lying on the beach is not your thing, rent a kayak and enjoy a scenic boat experience through the stillness of the park. Stop to admire the water lilies as you drift along the tree-lined river. If you're a nature lover like me, this is your pick! You'll find over 800 types of plants and more than 300 bird species that call the Pinery their home. Whether you bring your bike or take advantage of the hiking trails at the park-- you could easily spend a few days here. 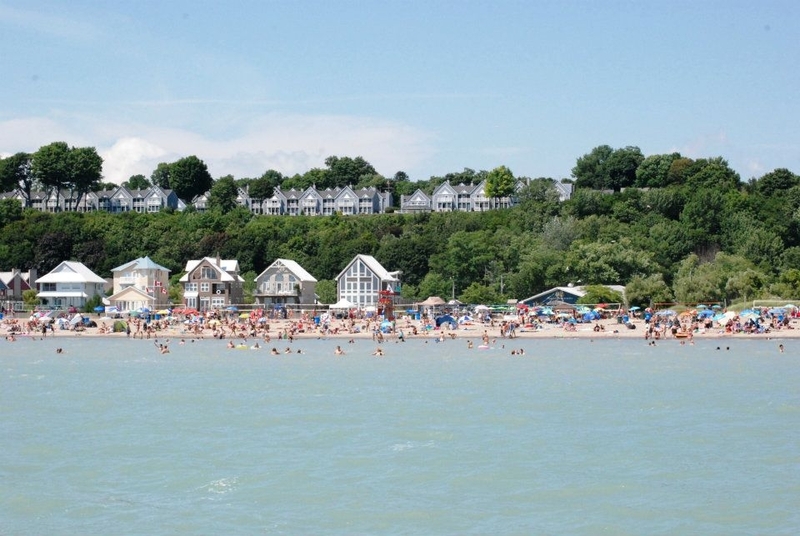 Only two hours and a half hours away from Toronto, Port Stanley is simply a magical getaway spot. Located on the north shore of Lake Erie, the town is a part of Elgin County. You'll feel like you travelled back in time as you stroll the streets in this vintage town. The small inns have an olden day charm and many of the shops and B&Bs are heritage buildings from the 1800s. This town has so much to offer, you may have to remind yourself that you came to hang out at the beach. Lively, action-packed and an expansive stretch of sand. There's beachside dining, picturesque homes, volleyball courts, a look-out pier and its all on Big Beach. The beach attracts visitors of all ages and it's a great place to relax and watch the day go by. While it's busy, it's not loud and you'll find the atmosphere to be exciting but comfortable. With so much accessible from the beachfront, this is a great spot with something for everyone. I loved this beach for its quiet and understated charm. A smaller stretch of sand, you almost feel like you're on a private island. It's quiet, peaceful and so calming. If you're looking for a low-key place to catch up on your reading or just to steal some time alone - this is the spot. Ontario is such a beautiful province, I feel so lucky to call it home. It's truly amazing that turquoise water and white sands can be found on the shores of some of our magical Great Lakes. Take a cooler, pack some towels and enjoy a getaway with views that will make you forget you didn't need your passport. I'm confident you can have an incredible holiday at any of these beaches but if you just can't decide...you may as well hit them all! Thanks so much to Ontario Southwest Tourism, Tourism Sarnia-Lambton and Elgin County Tourism for hosting us on this Beach Hop. As always, all views and opinions expressed are my own. Have fun at the beach!